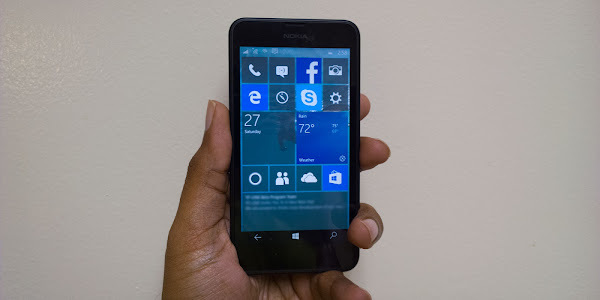 Microsoft has released Windows 10 Mobile Insider Preview build 10149 to Insiders in the Fast Ring. This is the fifth technical preview of the mobile version of Windows 10, and comes just a week following the release of build 10136 of Windows 10 Mobile. According Microsoft's Gabe Aul, the bug that previously prevented users from updating Windows 10 Mobile to newer builds has been fixed. This will allow users who stayed on build 10080, without upgrading to build 10136 to directly upgrade their devices to the newest build 10149. Gabriel also notes that, just like last build, the lock screen will appear frozen for about 10 minutes after the upgrade while it migrates your data. Users are expected to wait it out, and the phone will start working as it should. Microsoft offers various new enhancements in the latest build of Windows 10 Mobile including improvements to the Cortana, Edge branding to browser, updated Photo app, flashlight toggle, along with various improvements to the user interface and more. Microsoft Edge: The first thing that you’ll notice in this build is that the Microsoft Edge branding is now included in this build. This build also has the address bar at the bottom – this is a change that we made based on feedback we heard from Windows Insiders. The option to view websites in mobile view or desktop view is also included in this build as well. IMPORTANT NOTE: The result of the naming switch from “Project Spartan” to Microsoft Edge means that the Microsoft Edge app has a new app ID. This will cause any favorites, cookies, history and Reading list items that you had saved in the Project Spartan app to be lost after upgrading from a previous Windows 10 Mobile Insider Preview build. General UX improvements and refinement: You'll see a lot of UX improvements and refinement in this build. We’ve fixed an issue where many Live tiles pinned to Start would appear blurry – so your Start screen looks much more clear and crisp. You’ll also see a lot more refinement of controls with updated icons and visuals (such as the volume controls). Overall, you’ll find the OS more responsive to use. We’ve got more work to do here but we’re happy about great progress made in this build. Improvements to Cortana: Cortana's Notebook is in its final stage with a combined Profile and Settings experience now. You also now set up Quiet Hours in Cortana's Notebook as well. You should also try sending an e-mail with Cortana – we enabled this in this build! Just say everything at once such as who you want to email (you can send to multiple people), the subject of the e-mail, and what you want your email to say and that’s it. You can even make corrections with your voice. Note – this feature requires an Internet connection and works for U.S. (English) right now. Flashlight quick action: One of the top pieces of feedback we heard from Windows Insiders for Action Center in Window 10 Mobile was to add a Flashlight quick action so you can quickly turn your phone’s flash into a flashlight. And we’ve delivered this little feature in this build. Just open Action Center, and expand quick actions to check it out for yourself. You can customize which quick actions are always shown in Action Center without having to expand. Check out the updated Photos app for Windows 10: We’ve published an update to the Photos app via the Windows Store Beta. This update includes general performance and reliability improvements, as well as new capabilities such as support animated GIFs (works on phones with 1GB of RAM or higher). This was a top request from Windows Insiders! And now links to your saved photos, screenshots, and camera roll are available on the Albums page. Automatic camera upload via OneDrive: Automatic camera roll upload is now managed directly with the OneDrive app on your phone. Make sure you open the OneDrive app and go to settings to set camera upload to be turned on or off depending on which you prefer. Update your apps: Make sure you check the Store Beta and download the latest updates for apps. Many of our first party apps such as Outlook Mail and Calendar, Music, Movies & TV, and the MSN apps (News, Weather, Sports, and Money) are updating independently of builds so we can get changes to you faster. Make sure you have the updated versions of these apps to get the best experience on your phone. Windows 10 Mobile build 10149, may also contain various minor - but still useful - improvements and enhancements in the new build that haven’t been detailed above. Users are encouraged to explore the release and comment on other improvements they come across. We have fixed the issue first reported with Build 10051 where Call + SMS filtering would not work after upgrade. We have fixed an issue where text notifications weren’t appearing for incoming messages. We have fixed an issue where the Podcast app wouldn’t work. We have fixed some issues where apps were having trouble installing or updating via the Store Beta. We have fixed an issue where the navigation bar couldn’t be hidden. There is an issue where the Install button doesn’t respond after Build 10149 is downloaded. Make sure the battery is charged >40% and press it again. Some people may encounter an 80091007 error trying to upgrade to this build from Build 10136. If you hit this error, sit tight – we’re working on a fix. Or if you want the new build right away, you can use the Windows Phone Recovery Tool to go back to Windows Phone 8.1 and then upgrade to Build 10149. The Insider Hub is removed in this build. Don’t worry, it will be back in future Insider Preview builds. Sometimes the PIN keypad won’t be shown after swiping up to unlock. The workaround is to swipe down to get to Action Center and try to open a notification or Settings to invoke the PIN keypad to unlock your phone. There is a very rare situation where you are unable to unlock your phone after entering your PIN and it keeps letting you type even though you entered your pin correctly. If you hit this – leave the phone alone 1-2 hours before trying to unlock again. This is caused by a TPM issue that could get worse and require you to reflash if you get into this state and power off the phone. If a Gmail account is set up on the phone, the Messaging app may have issues and both incoming and outgoing messages may not work. If this issue is hit, simply reboot your phone to get it working again. We are aware that the Messaging app may behave badly in this state. There is a known issue where apps or games are installed as trial versions even though you have previously purchased them. In-app purchases on Windows 10 Mobile are not functional yet as we migrate the function to the new Windows Store. In certain cases, the colors in some apps may appear off. For example – the titlebar in the Outlook Mail app is orange. There might be some cases where notifications in Action Center appear blank. Keep in mind that since this is still a pre-release build, there are bound to be more issues... Microsoft recommends users to test this build and continue providing feedback through the Windows Feedback app on your phones.